The 2019 Ball Hockey Edmonton Summer season is set to kick off Monday night with 48 of the 66 teams hitting the floor. The teams, which include 12 new teams since last summer, are split between 8 different divisions, including 1/2 and 4/5 joint divisions. Read on for a preview of this season's divisions, including blind power-rankings. Back-to-back National Championships is a pretty good reason to be ranked #1 heading into this season. Until someone can knock them off their throne, the Savages are the cream of the crop. The rivalry continues between two of the top teams, not only in Edmonton, but in Canada. The Nighthawks proved last year that they are right there with the top two teams in Edmonton. After being relegated from division 2 to division 3, Team Pending went to work, finishing up the regular season in 2nd place, before taking care of business in the playoffs and capturing the Division 3 Championship. It was a whirlwind year for Bar South. They started the season in division 4, jumped two divisions to division 3 after the re-tier...which also meant they found themselves facing off against the teams from division 1. 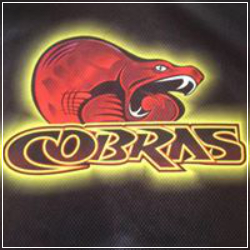 They finished the regular season atop div 2...but dropped two straight to the eventually champs, the Cobras. They then took off to Windsor to compete in the C-Nationals, where they earned themselves a National Bronze medal. It was a bit of a tough year last year for the Raging Bulls, as the big three in division 1 were just too powerful. Dropping down a division should put the Bulls right in their comfort zone. This team has a lot of experience, and has won a lot of games over the years. It was a solid year for Redline in 2018. They wrapped up the regular season in 2nd place and then proceeded to knock off the 3rd place Gators in three games. But the run would end there, as the Cobras needed just two games to capture the div 2 championship. Its been proven over and over, winning championships are about getting hot at the right time. After finishing at the bottom of division 4, the Cobras tore up the playoffs, going a perfect 4-0 to capture the division 2 crown. There's been some changes for the Cobras this season, as their top scorer from last year has moved on, and their goaltender, Marcus Johnson has left the net to try and help the out offensively. 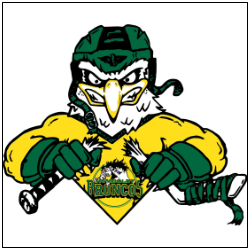 A merging of the Blackhawks (formerly of div 1) and the Edmonton Mighty Ducks (lost div 5 finals last season). The grizzled veterans continue to add more years onto their ball hockey careers, and more players onto their bench. The formula seems to work, as they are always in the conversation when the playoffs come around. A fantastic season, which including taking the division 4 regular season title, came crashing to a halt in the playoffs. 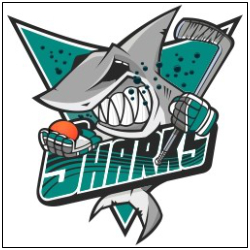 The Reapers needed just two games to dispose of the Sharks on their way to to the division 4 championship. 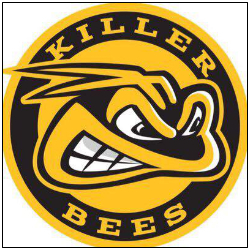 Probably a year the legendary Killer Bees would probably sooner forget, but its in the past. Reinforcements have arrived, and the Bees will look to work their way back into respectability. The Reapers finished the season at .500 (12-12) and then proceeded to flip the tables on the rest of division 4, going 6-0 and outscoring their opponents 27-9 on their way to the division 4 Championship. 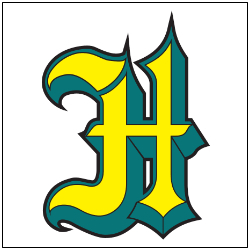 After amassing a 21-3 regular season record, Haggard continued their dominance of division 5 capturing the championship in 3 games over the Edmonton Mighty Ducks. 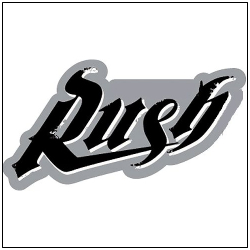 The Rush finished last season in 6th place out of division 4. They dropped their opening round series to the Silvertips in two straight. 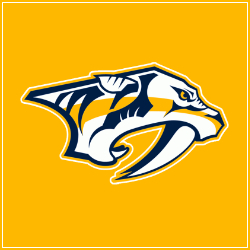 It was a tough season for Smashville, as they failed to qualify for the post-season. They will look to rebound this year...but face a tough division. 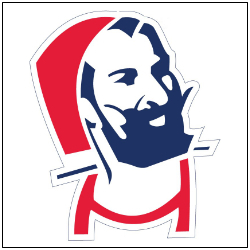 A new team to BHE, spear-headed by a handful of former Penguins (D1). 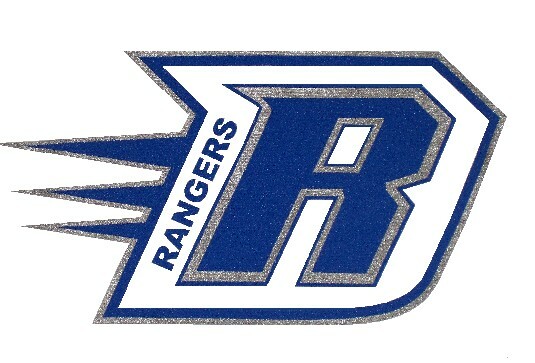 The Rangers are back in BHE after an extended hiatus. Feels a bit like an Alumni-Charity tour...but we'll see what they can do. 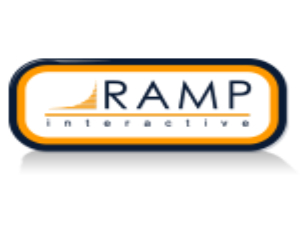 Their name and logo leads you to believe they are a steady-as-she-goes, honest, hardworking team. But they've put together a handful of electrifying seasons. They finished 2nd last season, and despite a disappointing playoff showing, had a fantastic season when all was said and done. A veteran-laden team that has won a lot of hockey games over the years. Expect them to be in the mix right to the very end. The McMuffins are jumping up a division a year after winning the division 7 title. 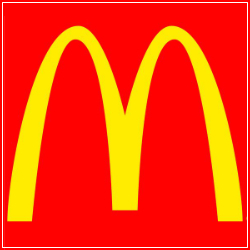 It was a fantastic year for the golden arches, as the won both the regular season title, and the division championship. Another veteran team, the Rockets are gonna give you a solid effort each and every night. The Centipedes basically played .500 hockey last season. In the opening round of the playoffs, they upset the 3rd-ranked Soldiers...before bowing out to the eventually division 5 champion Haggard. Led by Borhat's 50-point season, the 7C's finished in 3rd place in last year's division 8. This year they've jumped two divisions, which would indicate that they've possibly acquired some talent. 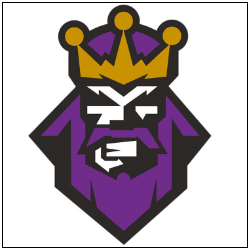 There was a Crown Royals team in years past...but this isn't them. The Nightmares will be making their BHE Summer season debut, fresh off a division 6 winter championship. Last year's division 6 champs were led by Brad James and his remarkable 62-point season. The Silver Kings are the longest-running ball hockey team in Western Canada...at this point it might actually be the longest-running team in the world. Ever. It's a new year. 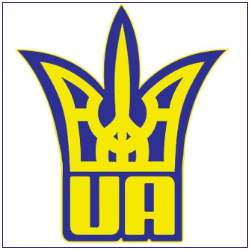 Two divisions down, the Ukraine Athletic are hoping for better results. First place in division 8 last year, led by a goal-scorer named Ace...things are looking up for Kowerchuk and the Spartans. A team made up primarily of former Warriors (1st-D6, 2018). Brand new to Ball Hockey Edmonton. 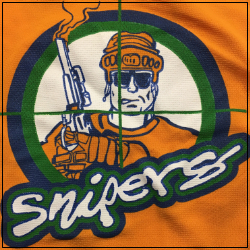 A team made up mainly of players from the Cedar's who play wrapped up this past winter season in 3rd place (Div6). The Burger Kings ruled division 8 a year ago, riding a 2nd place finish to a playoff championship. They will look to repeat this year. With more wins than losses, it probably couldn't be categorized as a successful season, but the playoffs provided something positive, as YDP got to the division 7 finals. 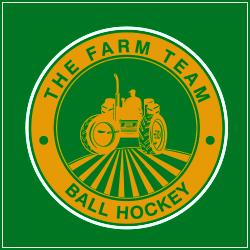 They would fall to the McMuffins in two-straight and as a result have decided to fall a division for the 2019 season. 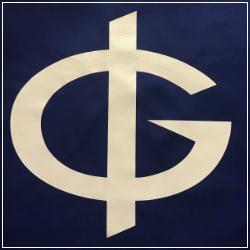 After a disappointing end to an otherwise spectacular season, the GWOPS have decided to challenge themselves and move up a division for this year. 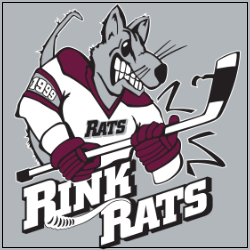 A solid year for the Rink Rats in division 6 last year, but they've opted to drop two divisions in search of greater success. 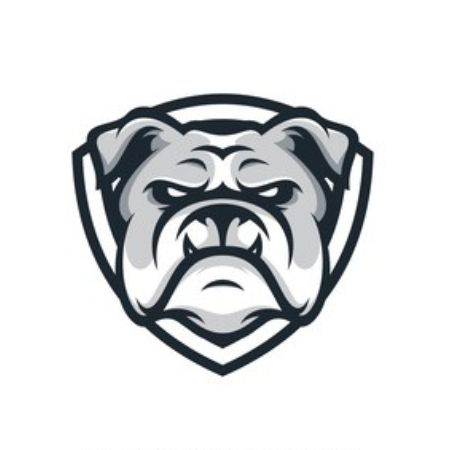 A staple in BHE's lower-tier, the GD Bulldogs enjoyed a successful season a year ago. Racking up 13 wins to just 7 losses. Looking to rebound from last years 9-win season, Southside BHC has dropped a division looking for success. It's looking like a pretty competitive division, and a team like the Wolfpac, who finished 3-games above .500, could surprise. A bunch of kids who just reached the drinking-age...could be dangerous. The division 10 champions from a year ago come in as the top-seed to start this season. An impressive regular season quickly turned sour in the post-season, as the Preds dropped two-straight to the Thunder Buddies in the semi-final round. The Huskies were the #3 seed going into the playoffs. 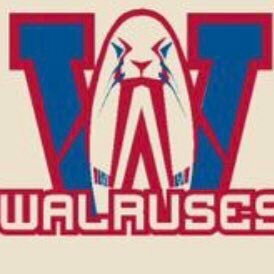 They didn't let that effect them, as the rolled to a perfect 6-0 record, outscoring their opponents 37-16 along the way. A solid .500 season from the Kings last year. They will be looking to improve on that this season. Tied for the best record from last season of all the teams entering division 10 this year...it's just it took place in division 11. 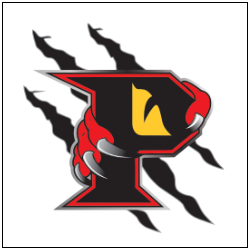 The Piranhas slipped up in the playoffs a year ago, and will be looking to rectify that for this season. The third team in division 10 who is coming in hot...as division champs from a year ago. The Cobra Kai are led by top-scorer Bijhan Chaglani and his 70-points! 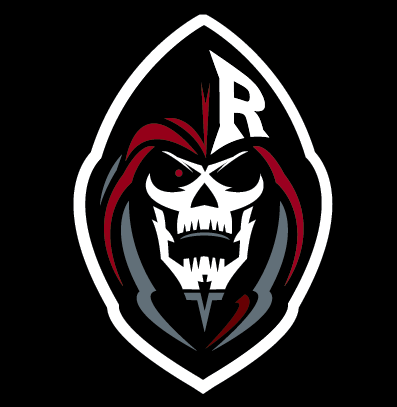 The Rampage failed to qualify for the playoffs last season, getting perennial top-scorer, Cody Wasik, out for more than 14-games would help. The Tin Bashers will be looking to improve on last years, last place finish in this very division. In a division that saw no one win a playoff title last year, the Squids appear to be top-seed going in. Led by Kruhlak and his 62-points, they are a threat to put a lot of goals up on the board. The team making the biggest drop in the division, falling from div 9. The Mad Dogs are looking to get their bite back. Formerly known as Jay & the Canadians, this team runs a balanced offense. Last year not a single player broke the 20-point mark, but 13 different players reached 10 or more. The Shockers failed to pick up a win in the playoffs...making for a long off-season. Hopefully that will change this year. Another team that struck out in the playoff win column. Only three teams in division 11 had a winning record last season...the Regulators will be looking to join that group this year. The only team that is moving "up" into division 11, Snakearm brings with them the second highest-scorer from a year ago as well in Thurston Kesteris. The Gremlins return to division 11 hoping to improve on last years 8th place finish. One plus for the Gremlins was Bo Cornell leading the division with 29 goals last year. No Dekes will be making their BHE summer season debut fresh off a 6th place finish in the winter season's division 12. A year ago, the Thunder Buddies took a 4th place finish to the division 10 finals. Unfortunately they dropped two-straight tight contests to the Tigers, but it was a good run. Like the Thunder Buddies, the Edm Reapers also took a 4th place finish all the way to the division finals. They fell 4-3 in the deciding game, ending a remarkable run. Leading the way for the Reapers is the reigning division 12 top-scorer, Dave Shaw, who amassed 81 points a year ago! It was tough sledding for the Falcons a year ago. Just 8 wins during the regular season landed them in 6th place. They failed to earn a W in the playoffs, as they were swept two-straight by the 3rd-ranked Snakearm. The Blazers have the unenviable distinction of being the reigning last place team in the leagues lowest division. You can't go any lower from there. Time to start the long road up. No to the league this year. It sounds like a few Blazer players have splintered off. Another brand new team to the league. Hopefully their championship drought isn't as extensive as their MLB namesakes was.